The book of Daniel tells us God’s plan for the future. 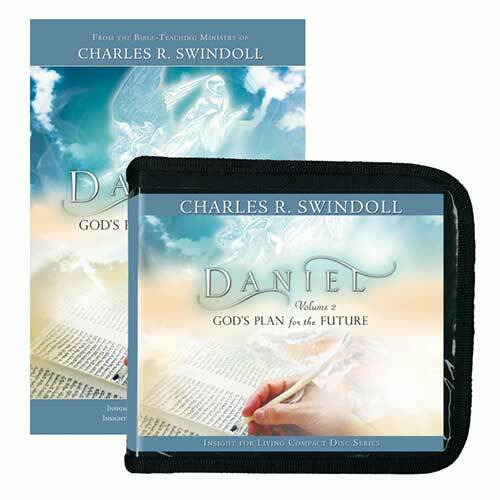 Daniel’s mystifying visions of beasts, angelic warfare, and mysterious prophecies find both their explanation and application in Chuck Swindoll’s series. Prophecy doesn’t have to be a mystery. Once understood, it can change your life. “Worthy is the Lamb” composed by Don Wyrtzen Copyright © 1973 by New Spring Publishing (ASCAP). All rights are reserved worldwide. Copyright ℗ 2006 by Stonebriar Community Church. Used by permission.